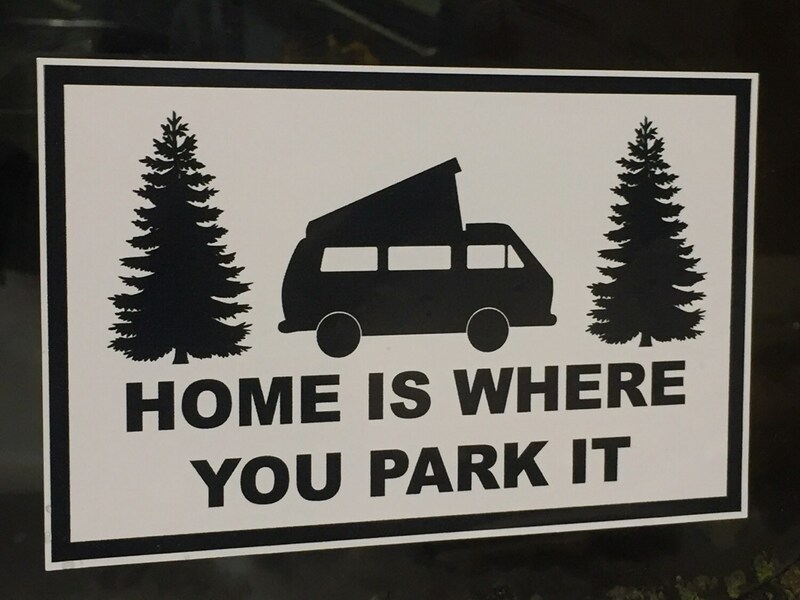 Home Is Where You Park It window decal. 3.5 X 5.5 inches. VW Bus window decal. Ships same day. International orders welcome. Home Is Where You Park It window decal bumper sticker. 3X5 inches. Fantastic! Very happy with the decal.